Home / Marketing / Sales and Marketing Health Checks are Free for Micro-Businesses! 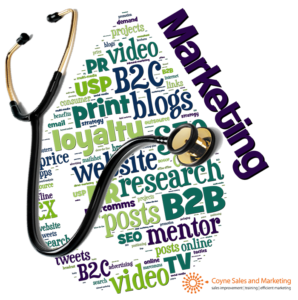 A Sales and Marketing Health Check is the best way for smaller businesses to review their commercial performance. It’s an unbiased, structured, external review of your sales and marketing activity, delivered by Coyne Sales and Marketing. You get a straightforward, visual report at the end that reveals your relative strengths and opportunities for improvement. Best of all, it’s FREE if you have fewer than 5 customer-facing staff or spend less than £1,000 per month on marketing. 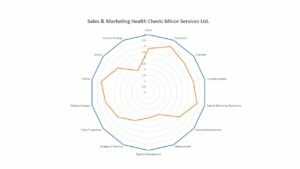 What is a Sales and Marketing Health Check? The Coyne Sales and Marketing Health Check is unique. It’s a questionnaire-based report that reviews 14 key drivers of your sales and marketing performance. It’s a combination of the Sales Health Check and the Marketing Health Check, adapted for micro-businesses. The objective is to expose what’s working and what’s not, so you can identify areas for improvement. Output is a highly visual, two-page summary report. We discuss the visuals in the meeting and afterwards I will write up your report and email it to you within 24 hours. What Information does it Require? 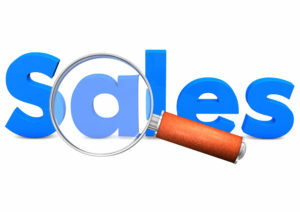 Information reviewed in the Sales and Marketing Health Check covers 14 key organisational drivers of sales performance. These range from the skills of the customer-facing team(s) and the value proposition to branding and selling messages. Also, we consider online, offline and content strategies. Why Have an Audit of Sales and Marketing Activity? Once you know which levers to pull, you can get to work to instigate changes in your business that will improve marketing and sales performance. It will help you gain competitive advantage and to sell more. 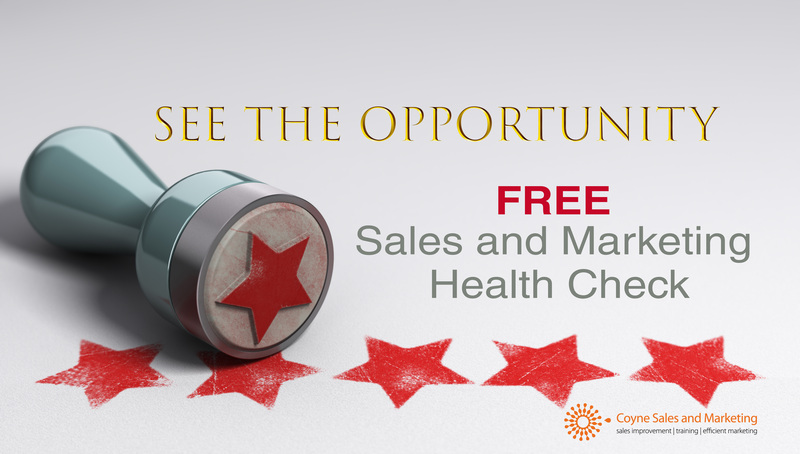 The Sales and Marketing Health Check is a free high-level sales audit from Coyne Sales and Marketing. There’s no obligation to follow recommendations made as part of this audit. There’s no obligation to purchase services or products from any organisation or individual, including Coyne Sales and Marketing. Based in Great Dunmow, Essex, Coyne Sales and Marketing uses unrivalled commercial experience to support SMEs across East Anglia, the South East of England and Greater London. The focus is always on obtaining quantifiable step-changes for clients, to enable them to sell more at greater profitability.